No Other Formula Can Compare! Finally... Digestive Relief You Can Count On! 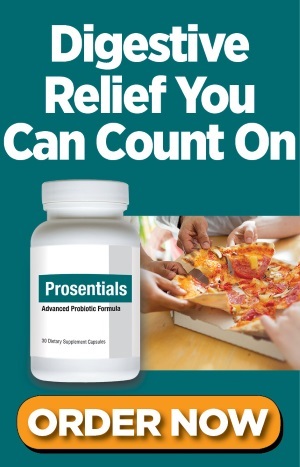 When it comes to probiotics, Prosentials ® stands head and shoulders above the rest. It’s scientifically formulated with seven essential probiotic strains – including superhero strain S. boulardii – to help you fight off the effects of toxic invasion in your gut. So you can finally find digestive relief. Plus, each capsule of Prosentials ® gives you a total of 12.5 Billion Colony-Forming Units, or CFUs. That’s as much as TEN TIMES the probiotics found in other brands! 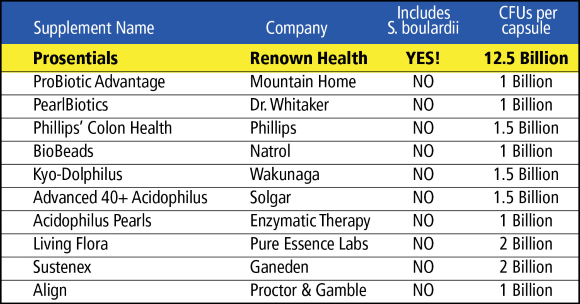 You'd have to take one of each and every competing probiotic brand below – together – to equal the probiotic levels you get in a single Prosentials ® capsule. However, you STILL wouldn’t get any S. boulardii. 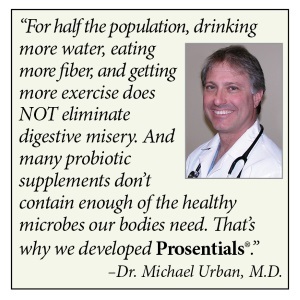 Which is why Prosentials ® is the clear choice for complete probiotic support! 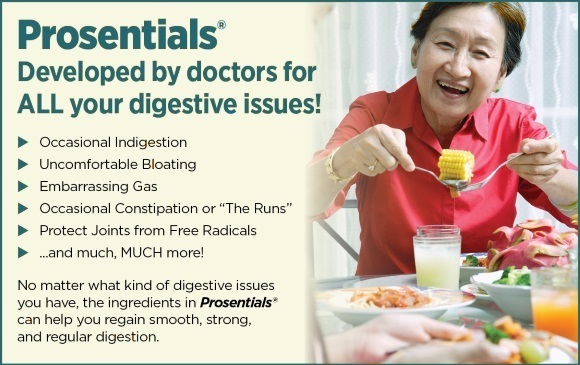 If you want digestive relief you can count on, look no further than Prosentials ®. 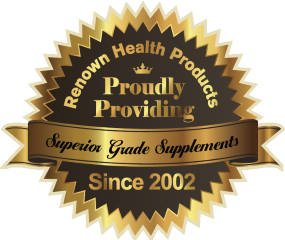 It’s the only formula that gives you 12.5 billion CFUs of seven powerful probiotics. 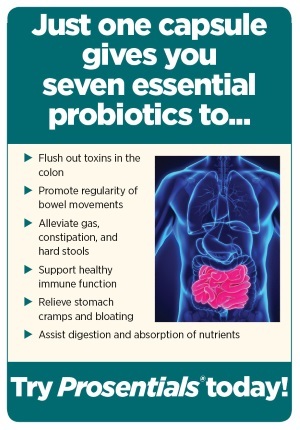 And the only major brand that includes the probiotic powerhouse S. boulardii. 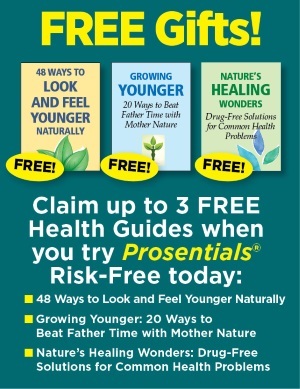 Best of all, Prosentials ® is 100% RISK-FREE. Every bottle comes with a full 60-day Money Back Guarantee of Satisfaction. And when you try it today, you’ll SAVE up to 39% off the regular price. Plus get up to 3 FREE health guides – a $59.85 value!